Make sturdy, good-looking projects that will last with the RTC Rigid Tie. 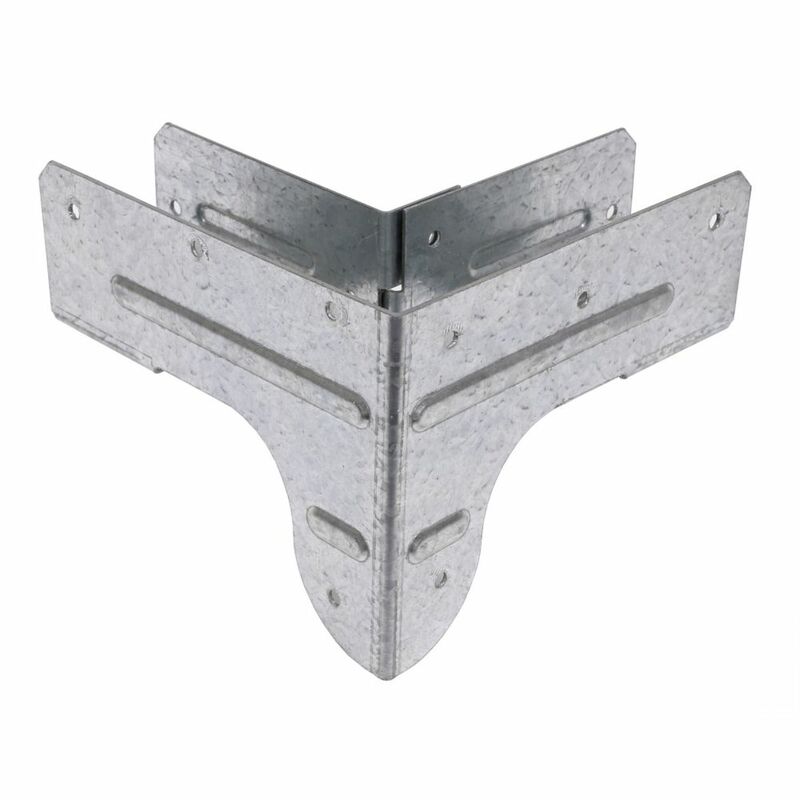 This series secures two wood members to a vertical post forming a 90 degree corner. These connectors are ideal for the construction of workbenches and storage shelving units. RTC2Z ZMAX Galvanized 18-Gauge 2x Rigid Tie Connector Make sturdy, good-looking projects that will last with the RTC Rigid Tie. This series secures two wood members to a vertical post forming a 90 degree corner. These connectors are ideal for the construction of workbenches and storage shelving units. RTC2Z ZMAX Galvanized 18-Gauge 2x Rigid Tie Connector is rated 4.8 out of 5 by 34. Rated 5 out of 5 by HomeDepotCustomer from Great accessory that made building a bench easier and made... Great accessory that made building a bench easier and made sturdy. Rated 5 out of 5 by Robert from Excellent product. Have built several shelving units and complete workshop... Excellent product. Have built several shelving units and complete workshop with these braces. Rated 5 out of 5 by Mauricio from made a second work bench for a friend, always easy... made a second work bench for a friend, always easy to use and very strong. Rated 5 out of 5 by Ernie from work bench! Piece mealed this bench together from the plans i downloaded on simpsons website. My home depot didnt have the kit in stock. About 140 bucks in materials. Very sturdy! Rated 4 out of 5 by Fred3 from Takes the guesswork out of making shelves so that they're... Takes the guesswork out of making shelves so that they're totally square little expensive but worth it. Could this be used to build a box for a utility trailer? Or is this exclusively for workbenches and shelves?